In a couple of my previous posts I shared a tutorial on making a necklace using washers and another tutorial about using washers to create a pair of earrings. The process of cutting washers from metal sheet leaves a metalworker with a pile of smaller discs. These smaller discs are a happy by-product of the process. These small discs can make nice bead caps; they can be domed or left flat. To be used as bead caps it's important to have a hole punched in the center of the disc. If the hole is off center the bead cap will sit crooked on the bead. I've been experimenting with various methods to find an accurate center on the discs. You can find various methods for finding center of a circle with a google search. The one I preferred involved using a ruler to draw a line across the disc, turn the disc 90 degrees and draw another straight line. The point at which the two lines intersect is center. Sounds simple right? Not so much. If the first line doesn't bisect the disc at its true center point then the intersection of the two lines won't be center. Then I found this tool. Yes...eyebrows raised and a slow grin came across my face. Slide a round disc into the V slotted side of the tool. Flip the center locator over, holding the disc in place and draw a straight line. Turn the disc 90 degrees and draw a line perpendicular to the first line. The tool has two sides. On side has a V shape to find the center of a circle. The other side has a 90 degree angle to find the center of a square. The piece I have in the photo above is a rectangle. I just wanted to give you a visual of the other side of the tool. All the discs are marked and ready to be punched. You need to pay attention to detail when marking the discs. The lines need to be drawn perpendicular to each other to ensure finding center. You also need to take care to line the punch up carefully. I'm loving this little tool. This has been the most effective way I've found to find the center of discs. The tool is very afforable, less than $9.00. I purchased my nifty Center Locator from Beaducation. A collection of discs after cleaning up and adding some finishing touches. I embossed the discs, left some flat and domed others. Ema Kilroy is a lampworker and metalsmith living and working in Central Massachusetts. 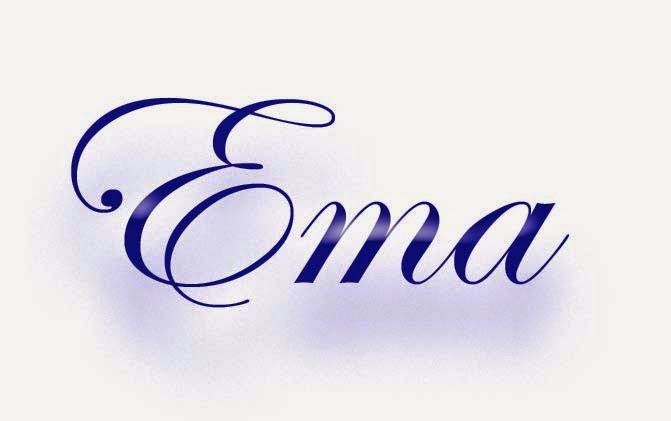 Wonderful tool Ema!! I have struggled with finding centers too! Thanks so much for sharing it with us. You just did everybody a big favor! A friend shared this "secret" with me, and I'm glad she did--even though it's a bit fiddly with smaller discs. I got mine on Amazon for even less--http://www.amazon.com/gp/product/B000CD1T0A/ref=oh_aui_search_detailpage?ie=UTF8&psc=1. Thank you for this it is very helpful and appreciated! Thanx for sharing Ema, this is something I have struggled with too. I have this tool and it is a brain saver!!!! What a great tip! Thank you for sharing. I agree with everyone. Great tip! Thank you again.